The Big Apple has always been a symbol of career success on the East Coast. New York City has a reputation for being a place of opportunity, and it has had this claim for well over 100 years. The city also has some unique urban challenges to it. While New Yorkers love the town, there are a number of routine problems which can get out of hand. Access to a group legal can help calm things down. 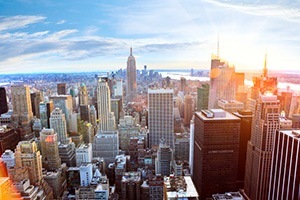 The expense of living in a metropolis such as New York City is not just weighed in dollars. Financial wellness problems arise in various ways. One of the biggest difficulties is dealing with public agencies in the city. It often is a maze of paper, which not everybody understands. Pre-paid legal services may include help dealing with various government commissions and offices. The assistance can shorten the waiting periods, and see to it that paperwork is submitted properly. Disputes happen that are not always reconciled out-of-court. Anyone who has to deal with small claims court in New York City could use the help of group legal plan lawyers. People complain about landlord issues. Many of these problems are with the rental agreements. Being able to have access to a lawyer through a group legal plan can help. This professional will provide pre-paid legal services to interpret any rental agreement, and point out where there may be problems. It is a given that New York is an expensive place in which to live. The financial wellness in any person is challenged by the high cost of groceries, and even parking. The high cost of living can stress out any employee living in New York. Employers have to be aware that financial wellness issues can add to an increasing sense of anxiety. Countrywide Pre-Paid Legal Services offers the kind of benefits that make a difference. A Countrywide group legal plan is intended to provide the kind of support and guidance a person needs. The services may include help with consumer protection, drafting a will, and assistance with public agencies. Hackers who break into credit card information can damage the financial wellness of anyone. Countrywide has ID theft protection, which helps a person safeguard financial information. New York City has traditionally been a port of entry for people coming to America. Employees who are immigrants, wishing to establish themselves, will greatly appreciate the support which comes from a Countrywide group legal plan. New York City important want to help their staff but at the same time don’t want administrative hassles. They want things to be as efficient as possible, and they want benefits that truly help the staff. Countrywide understands this. We have worked with all kinds of organizations since 1987 and we know each client has separate expectations. Whether it is financial wellness or pre-paid legal services, we will allow a client to choose what options will be in the plan. We also make certain that all benefits are delivered promptly. Nobody likes to deal with a service provider at a distance. Countrywide attorneys and financial wellness counselors are in the neighborhood. If a face-to-face consultation is necessary, these people will do that. Everything Countrywide does is meant to lower the stress level of already anxious people. We help solve problems. New York City is a vibrant world full of career possibility. It is a place where people can discover opportunities in financial services, the entertainment industry, and numerous other areas. We do our best to assist New York employers in helping their hard-working associates. We welcome questions from organizations about what we offer. Please do feel free to contact us at your earliest convenience.